ER Season 2 Episode: 1 - Welcome Back, Carter! ER Season 2 Episode: 4 – What Life? 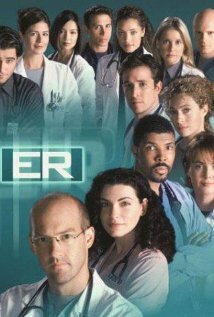 ER Season 2 Episode: 22 - John Carter, M.D. ER Season 3 Episode: 14 - Whose Appy Now? ER Season 4 Episode: 10 - Do You See What I See? ER Season 5 Episode: 3 - They Treat Horses, Don't They? ER Season 8 Episode: 9 - Quo Vadis? ER Season 10 Episode: 1 - Now What?